Are you psyched for the eclipse? Those of us in the United States have the rare treat of a total solar eclipse happening Aug. 21. It’s definitely worth it to get to a place where you can experience totality if you can, but other parts of the United States and Canada will still have the cool experience of its suddenly getting darker in the middle of the day. Space.com has a great rundown of what an eclipse is, why it happens and the different kinds of eclipses that can occur. I think we all know it’s not safe to look directly at the sun, even during an eclipse, but their are ways you can view or experience the eclipse without harming your eyes. First, you can buy eclipse-safe filters or glasses through which you can safely view the sun. They need to have an ISO 12312-2 rating, and make sure they aren’t scratched or torn before you use them. A classic eclipse “viewing” device is a pinhole viewer, through which you can see the shadow of the eclipse. (This is the way I “saw” a lunar eclipse back in 1996.) The Exploratorium has some great info on how to make different kinds of pinholes, plus some no-prep ways to get a glimpse at the eclipse. If you’d like to really be able to see the eclipse, Smithsonian magazine has a good roundup of the different kinds of gear you can use to view the eclipse safely. People throughout North America can take readings during the eclipse and report them to NASA for a citizen science project. Sounds like a fun activity to do with the kids. I haven’t read it yet but I just checked out a book from the library about an eclipse called When the Sun Goes Dark. 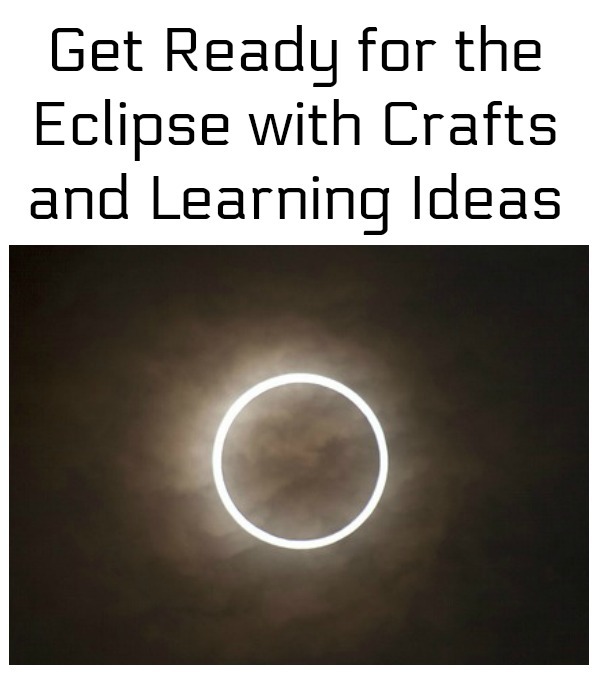 It’s part of this roundup of books about eclipses for kids from Growing with Science, which has books arranged by age group. Are you gearing up for the eclipse? I’d love to know what you’re planning!